Australia Day Sydney is mainly about what is going on and around Sydney Harbour. It's a gorgeous spectacle of boats and motion. And on and around the Harbour venues and boats are open with Aussie hospitality to celebrate the National Day. You might want to take your family on a day cruise or just find a great place to have breakfast, lunch or dinner with your family and friends. So this January 26th in Sydney make sure you get out and about to celebrate and check out these great ideas for awesome deals in Sydney this Australia Day. 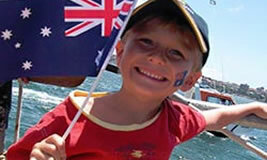 We have some fabulous event ideas where you can enjoy this Australia Day holiday period. Whether it is just for the Australia Day Eve before hand or the actual Australia Day holiday or maybe you can turn it into long weekend or long week celebration in Sydney! We hope these ideas at these awesome venues helps. 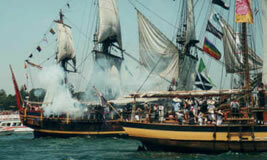 Looking to cruise Sydney Harbour this Australia Day? Save hours of sorting through individual boat sites by going to Sydney Harbour Escapes. With over 60 boats to choose from there are ticketed packages to suit your needs whether they be for small groups and individuals. Choose from tall ships, sailing yachts, motor cruisers, catamarans and luxury super yachts. Don't miss out, check out available boats now. On Sydney Harbour will be the place to be this Australia Day in Sydney and Sail Australia have awesome options from singles to familes. Be quick as many will sell out! Australia Day - Oi! Oi! Oi! Celebrate Australia Day Sydney style with some flamin' great Aussie tucker and fab fun Aussie brews down at Darling Harbour at the All Hands Brewing House. 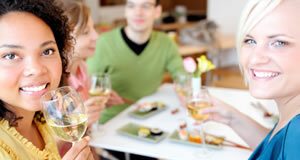 Enjoy LIVE music from 3pm to 6pm. In Sydney familes can get out and about this Australia Day with day trips to the Blue Mountains or head to the famous Bondi Beach or Manly Beach for a summer swim. 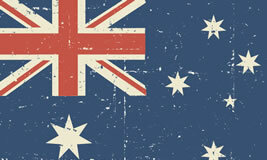 Celebrate your Australia Day with family and friends and don't forget to put a chop on the barbie! The end January feeds into the next Big Day of Summer on February 14th. Yes that's Valentine's Day in Sydney for all the lovebirds. Go on get a little bit romantic and arrange something special. We hope these Valentine's Day Sydney ideas help.